There are five types of weightlifting bars you might want for your home gym. For most, the first choice is between a standard or Olympic barbell. While standard barbells have the benefit of being cheaper, they can’t hold as much weight as an Olympic barbell and generally aren’t made as well. If you are serious about lifting, you will eventually have to upgrade to an Olympic barbell – so you might as well get one from the start. Professional-level Olympic barbells can cost well over one thousand dollars to buy. These quality barbells are guaranteed not to bend and keep their spin. However, most amateurs (and even pros) don’t need this expensive of an Olympic barbell to train well. The following are some of the best Olympic barbells for serious lifters and they all cost under $300. Rep Fitness is a newer fitness company which started in 2012 in Colorado. The company doesn’t offer many options for barbells, but the ones they have are awesome. The standout feature of the Gladiator Bar is its 230k tensile strength and 1500lb static rating. Just holding the bar you can tell that it was made with quality steel and is a solid product. It even has a chrome coating to prevent rust. 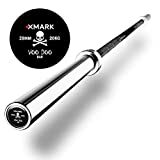 The only thing holding back this best Olympic barbell is that its warranty is for 5 years, not a lifetime. I really like the company Rogue Fitness because they make all their products in the Rogue factory in Ohio. The level of quality is high but the prices are still reasonable. The standout feature of The Ohio Bar is how nice the knurling feels in your hands. 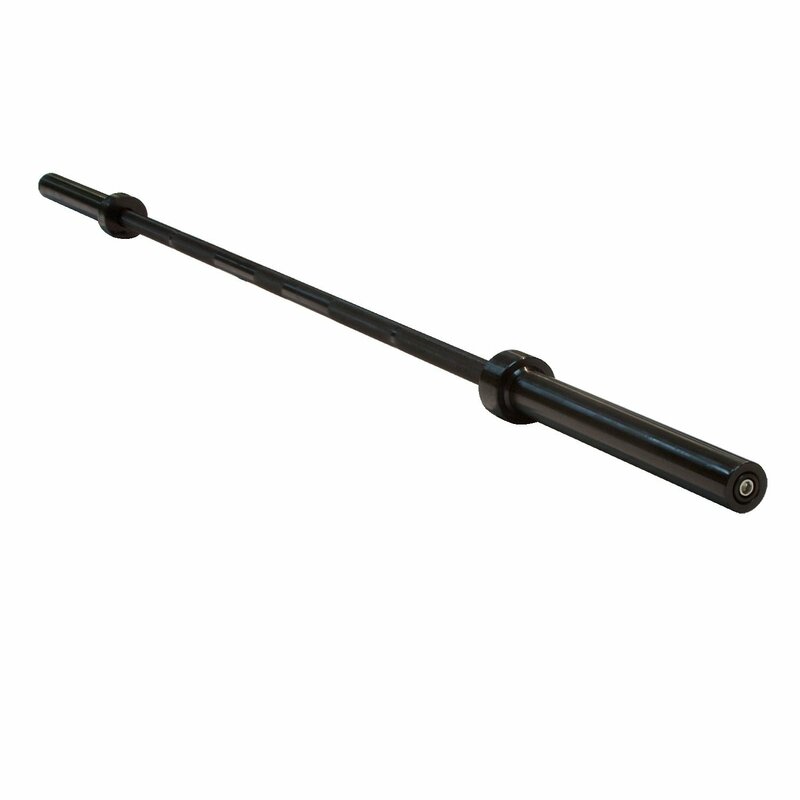 I held the version with a black oxide coating, and it felt better than the other Rogue barbells I’ve tried. The Ohio Bar also comes in a mix of black zin/bright zinc coating too. This is an incredibly cheap Olympic barbell. For the price, you can’t expect the highest-quality product nor to be able to lift 1000+ lbs on it. 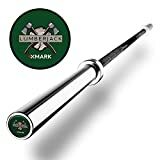 However, for beginners who are buying their first Olympic bar, the Lumberjack is worth considering. Compared to other cheap bars, the Lumberjack keeps its shape well and can be dropped without destroying the bearings. You can always upgrade to a better Oly bar later. 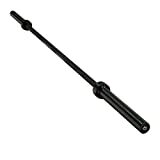 After The Ohio Bar, this is my next favorite cheap Olympic barbell by Rogue Fitness. It feels really solid in your hands and perfectly straight. I didn’t think it would really be that much of an upgrade from the original Rogue Bar, but it feels a heck of a lot better. The only major downside of this barbell is that the zinc coating doesn’t seem to be as high quality as other zinc. For not that much more than the Lumberjack bar, you can get the Voodoo bar from Olympic Fitness. 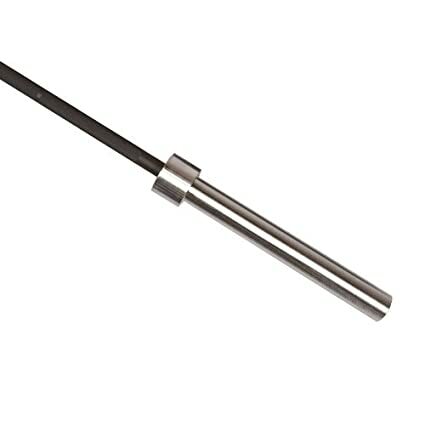 It is still very cheap for an Olympic bar, but it’s a higher quality and will hold up against wear better. I’m was actually suspicious about how they could make such a strong bar (185k tensile strength) at such a cheap price. Yes, the coating might not be chrome, but it is still a very solid bar and the bushings seem to hold up well too – even after uneven drops. I guess they just keep the markup low to sell more products. CAP is known for making very affordable home gym equipment. Honestly, I’m not a fan of many of their products because the quality is so low. The Beast barbell is a different story though. Annoyingly, CAP doesn’t list the tensile strength of the bar, but it is static rated for 1000lbs. Using the bar, it really does seem like it is sturdy. The manufacturers skimped on the coatings, which is why it can be so strong yet still cheaply priced. 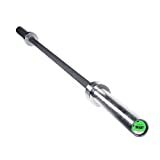 This is the cheapest Olympic barbell reviewed. Of course, it doesn’t live up to the other Olympic bars here, but it can take decent weight without warping and I didn’t hear any reports of the sleeves breaking off. 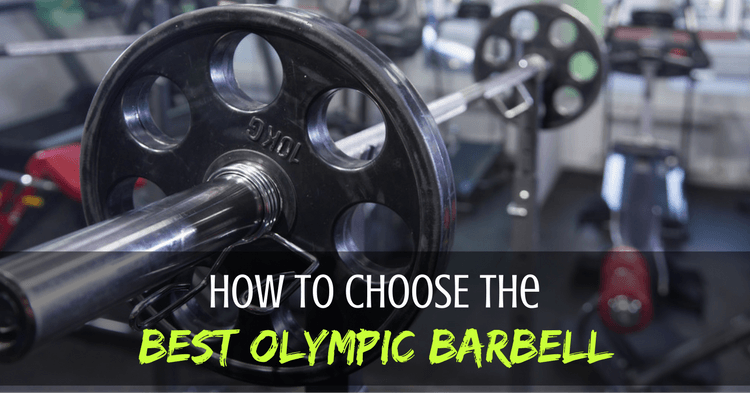 There is so much variation in Olympic barbells that the only real way to know which is best is to try it yourself. You might find that two seemingly similar bars actually have a very different feel. I’d like to say that you shouldn’t pay too much attention to price when buying an Olympic barbell, but the truth is that you get what you pay for. Quality Olympic bars are made from higher-grade steel (as opposed to recycled refrigerators). A heat treatment is used to strengthen the steel and prevent corrosion. Rogue Fitness has an awesome video of How Olympic Barbells are Made. In addition to the bar itself, you also pay for the bearings, which give the bar its spin. With cheap barbells, the bearings break (especially during uneven drops) and the ends fall off. Tensile Strength: This is a measuring of how much force it would take to pull the steel apart. It is measured in pounds per square inch (PSI). Most barbells range from 130k to 220k tensile strength. Yield Strength: This is a measurement of how much weight the barbell can take without permanently bending. Of the two measurements, tensile strength is more reliable. To measure tensile strength, the manufacturer actually has to test the metal. It is a very accurate number. Unfortunately, many manufacturers don’t list tensile strength of their barbells. By contrast, you have to trust the manufacturer when they tell you the yield strength. In the gym I used to work in, we had two different Oly barbells each rated for 1000lbs. One held up great. The other warped within a year at 600lbs. Yet, people are impressed by marketing claims like, “Rated for 1000 pounds” so manufacturers still list these numbers. The higher the tensile strength of the Oly bar, the less whip it will have to it. Thus, high tensile strength barbells are good for powerlifting. For weightlifting, you’ll want a lower tensile strength. 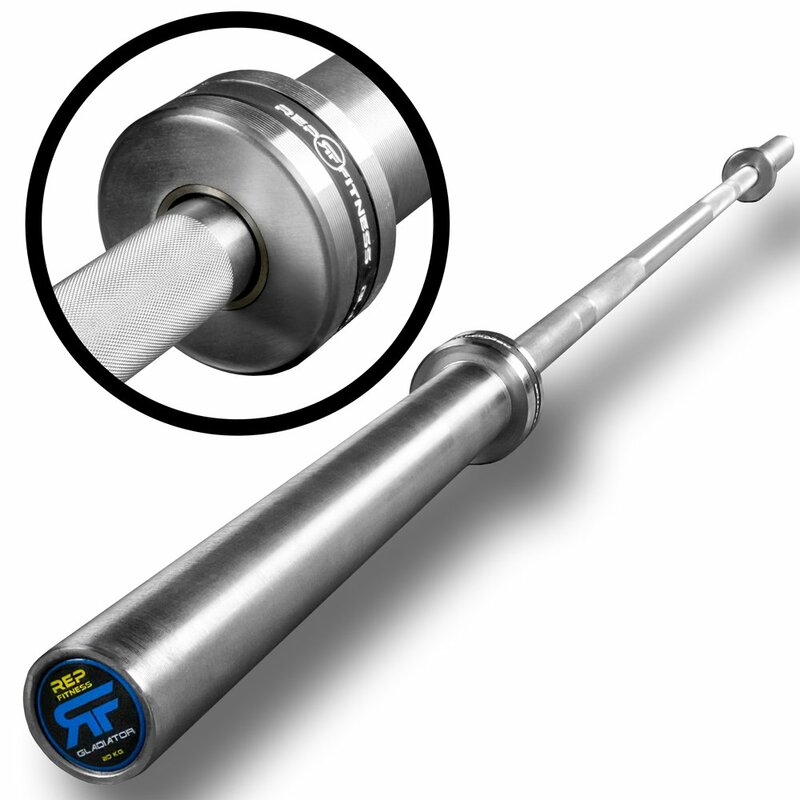 Manufacturers will often list the amount of knurling that their barbells have, such as “Light,” “Medium,” or “Aggressive.” Most Olympic barbells have moderate knurling. Unfortunately, these descriptions aren’t always very accurate. I’d recommend reading through reviews of the best Olympic barbells to see feedback on the knurling. If you have smaller hands or are doing heavier lifts, you’ll want more aggressive knurling – even if it will tear your hands apart. You’ll also want to look at whether the Oly bar has center knurling or not. Traditionally, the men’s bar does have center knurling whereas the women’s Oly bar does not. However, many lifters prefer to get their Oly bar without a center knurl. That way their neck or chest doesn’t get torn up while doing cleans or thrusters. Or, you can always use a barbell pad. Confused about barbell coatings? You aren’t alone. 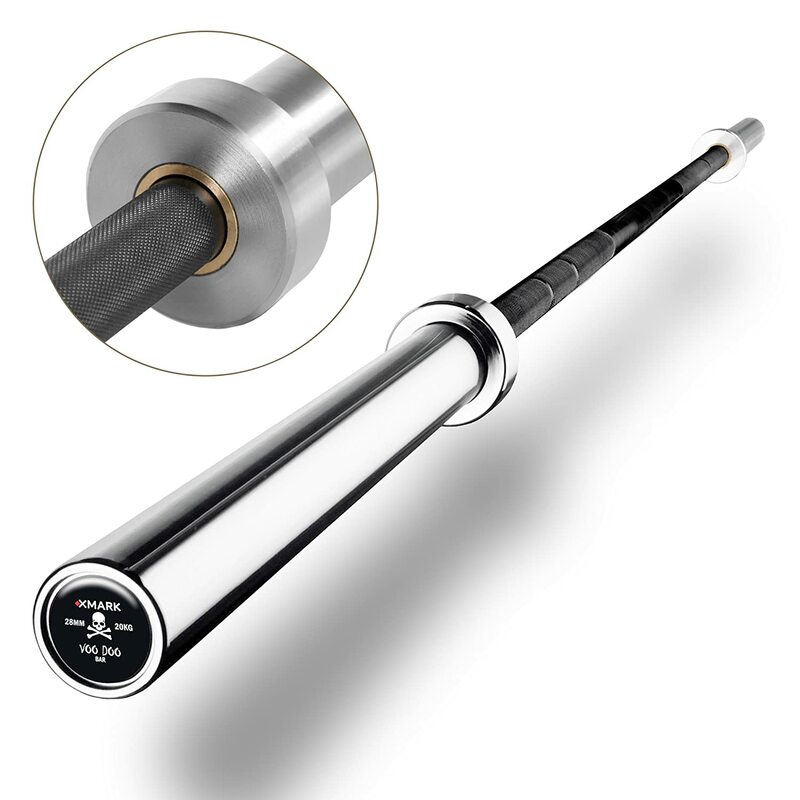 There are several options for coatings, and some Oly barbells will even have different coatings for the shaft and sleeves. In order to have spin, the barbell sleeves contain bearings. Even if you don’t care too much about spin, the bearings are still important. Cheap bearings will break, causing the sleeves to fall off the barbell! Of course, you can avoid broken bearings by evenly dropping the barbell and not overloading the bar beyond its capacity. Bushings are rings that go between the outer and inner sleeve of the barbell to reduce friction. You can see a picture of bushings here. Bearings are round balls or needles that fit between the bar and sleeve. Because they move freely, they do a great job of reducing friction. Bearing barbells have great spin. For an Olympic bar under $300, I wouldn’t worry about warranty too much. Even if the bar does get warped (which it will), the warranty probably requires you to pay for shipping. You’d waste more on shipping than what the bar was worth. Once you start spending a bit more on an Olympic barbell, you’ll want to pay close attention to the warranty. A lifetime warranty is a sign of a quality barbell. Mid-range products will have warranties of 2-5 years. Just be warned that those warranties rarely cover the bearings.